When consumers look for a weight loss program, they usually look for easy diets to follow. After all, who wants to spend weeks learning a complicated system? But almost every program claims to be easy, so it can be hard to choose the best plan. 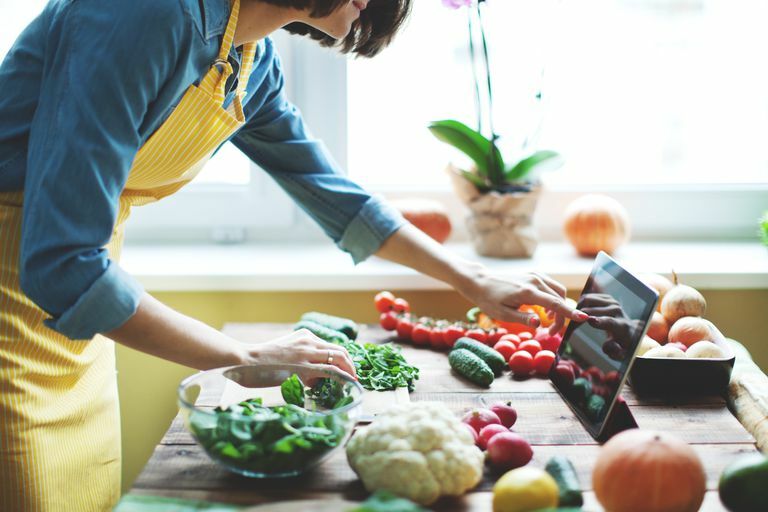 Everyone has a different lifestyle and different food preferences, so the easiest diet for your co-worker or your neighbor might not be the easiest diet for you. The key to getting sustainable weight loss results is to find the plan that works best with your specific skill set and your specific lifestyle. How much time do I have to cook and prepare foods? Do I like to cook and spend time in the kitchen? Do I like to try new tastes and flavors? Do I have time to grocery shop? How much money can I spend on a diet and for how long will I be able to maintain this budget? Do I enjoy eating foods that are considered to be healthy, like fruits, vegetables or lean meats? Do I prefer comfort foods like pasta, bread, and baked goods? If you find a diet that fits into your regular routine and satisfies your food preferences, you're more likely to stick to it long enough to see real weight loss results. In addition, if the plan is simple you're likely to maintain the good eating habits after you've reached your goal weight, so weight maintenance becomes easier as well. Meal delivery plans are the easiest diets for people who have very little time to cook and prepare food. Often these plans provide small microwavable meals that you can heat up on the go, calorie-controlled shakes to drink, or small snack bars to nibble when you don't have time to sit and eat. Top picks in this category include Nutrisystem, Jenny Craig, or Weight Watchers. My personal recommendation in this category is Weight Watchers simply because it provides the option of face-to-face support, which makes weight loss easier for many dieters. This is not the easiest diet for people who enjoy large quantities of food (meals and snacks are usually quite small), people who enjoy cooking all of their meals, and people who don't want to invest too much money into their weight loss program. My pick for the big winner in this category is calorie counting. Why? Because counting calories simply requires basic math skills that you already know and there are free apps that make the process super simple. Calorie counting is like budgeting. You take five minutes to use a calorie calculator and determine your daily calorie budget, then each day deduct calories from your budget as you eat. It's simple, but it takes consistent input, which is easy for some but overwhelming for others. This is the best easy diet for someone on a budget who is willing to use tech devices (like a smartphone) to put forth small consistent efforts on a daily basis to slim down. This is not the easiest diet for someone who isn't likely to be consistent with food tracking. This might include someone without access to their smartphone at mealtime or someone who isn't likely to be honest about what they eat and how much they eat. Sometimes the easiest weight loss plan is the one that is easiest to find. There are certain diet products you can find at your regular grocery store that will help you to slim down. They allow you to eat (at least some of) the foods that you normally eat. In this category, the Lean Cuisine diet or the SlimFast Diet plan are top picks. You'll find frozen meals by brands like Lean Cuisine or Smart Ones in nearly every market in the country. The meals are relatively inexpensive, portion-controlled, and microwavable. For around 300 calories you can eat foods that you are familiar with, like meatloaf, pasta or turkey, and stuffing. If you choose the SlimFast Diet, you simply consume two easy-to-find SlimFast products as replacements for two meals during the day and eat three low-calorie snacks. Then enjoy one additional 500-calorie meal that you buy or prepare on your own. This is the best easy diet for consumers who don't want to read books, compare online programs, or make a long-term investment in a food delivery service. These diets are also better suited for dieters who have less weight to lose. This is not the easiest diet for those who have more pounds to lose or for those who have medical concerns that limit the amount of salt or added sugar in their diet. Some frozen meals and shakes are high in sodium and some have added sugars. What's the Easiest Diet to Follow? So which plan would I recommend as the easiest diet to lose weight? Portion control. Simply eat the foods you currently enjoy at mealtime, but eat less. Similarly, if you decide to satisfy your cravings for crunchy salty foods by eating chips, you can eat about 15 to 18 chips. That's not enough to curb your hunger in most cases. But if you choose to chop up crunchy cucumbers and radishes you can eat a cup or two of the veggies for a satisfying snack. And the best part about portion control is that it is free. There is no membership fee, no shipping charge, and no book to buy. Portion control allows you to start your weight loss program from where you are—eating foods that you enjoy, and then it gradually nudges you towards a more nutritious eating pattern.